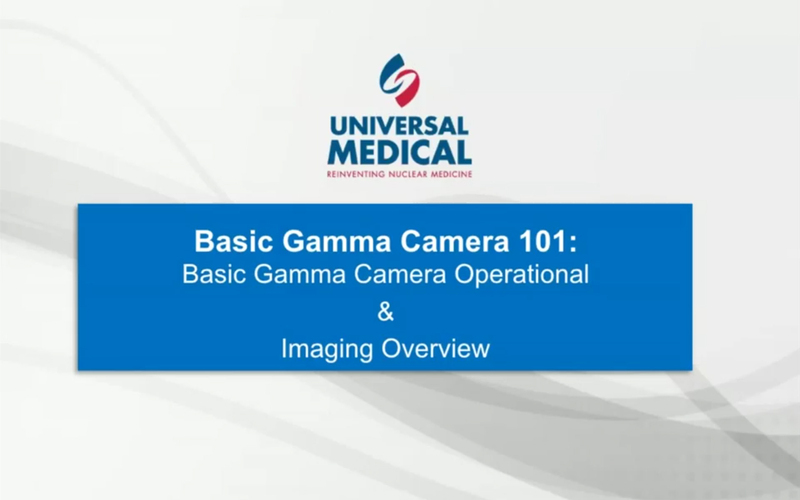 The recent “Gamma Camera And Correction Fundamentals” webinar sponsored by Universal Medical (UMRi) was a hit with biomeds and imaging service professionals. The 187 people who attended the live presentation are eligible to receive 1 CE credit from the ACI. The 60-minute webinar featured Mike Hill, training support manager and IT manager at Universal Medical. He provided an understanding of basic gamma camera detector imaging and the effects of various calibrations. Universal Medical was founded on a business philosophy founded on offering comprehensive nuclear medicine equipment services at a reduced price. Universal Medical’s products and services include new and reconditioned nuclear imaging systems, quality parts, equipment service, training courses for health care technology managers, camera system moves, technical and clinical support, flexible financing options and more. Visit www.uni-med.com for more information. “Even after attending nuc med classes at two OEMs , this was by far the best theory explanation I have heard,” said P. Jenne, Radiology Equipment Specialist. “Very informational, the speaker did a nice job of flowing through the material to be covered,” said R. Wagner, Radiology SVC Technician. “I’m beginning a new role in nuclear medicine and the Webinar Wednesday series has given me a distinct advantage before even attending my first training course. I’m able to get a head start and have the advantage of having new resources for assistance during my training through attending the webinars. This is a huge advantage for new techs or those of us that have been around a while and are just started down a new path,” said P. Garcia, Field Service Specialist. “This was a great webinar! Very informative and educational, breaking down the concepts with great illustrations,” said L. Kosir, Instructor/Program Head. “I work around Nuke Med but not on the equipment so this was very helpful in my understanding of the technology behind it,” said P. Dorsey, Biomed Technician. “Excellent presentation as always,” said C. Nanney, Director of Clinical Engineering. “Very informative, sometimes I wish it was a 2 hour event,” said R. Pray, Biomed. “With the wide range of topics covered by the Webinar Wednesday series, over time, you’ll find something that gives you insight into an unfamiliar or unknown aspect of the profession,” shared A. Sours, BMET. “The weekly webinars are one of the best things that have helped me throughout the year within my field. The information that is provided on these courses is fabulous,” said J. Perez, MSET. “Webinar Wednesday continues to deliver again and again,” said J. Sellers, Biomed. “Being a lead biomed and working towards being a manager, these basic webinar’s on how different equipment work are very helpful to understanding equipment I have not been trained on,” said M. LaPlante, Lead Biomed. “Webinar Wednesday is very informative, and an humongous asset to biomeds everywhere,” said T. Wood, HTM Manager.